If you're interested in building an online business + you love getting geeky about the different tech used to build your profitable business online, this is the place to be. As we continue to create new tailored content for the new-and-improved East End Mag, you'll start seeing more and more posts pop up here. But in the meantime, while you're waiting, why don't you check out our brand new, totally FREE workbook all about creating a homepage that converts like crazy? ARE YOU READY TO SEE YOUR HOMEPAGE START CONVERTING LIKE CRAZY? 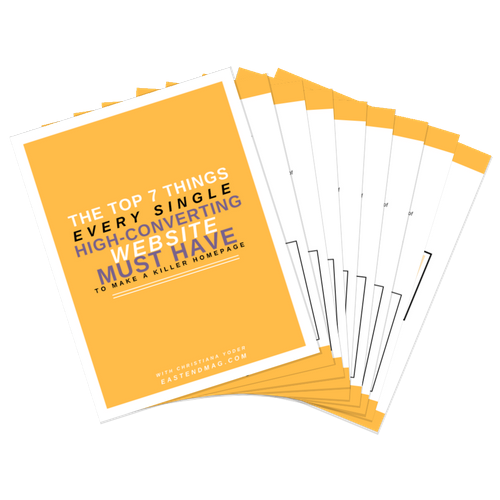 This 9 page workbook will guide you through the top 7 things you need to have on your homepage to make it WORK for you!